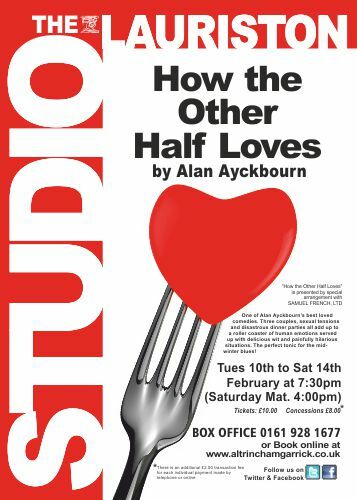 ‘How the Other half Loves’ is one of Alan Ayckbourn?s best loved comedies. Three couples, sexual tensions and disastrous dinner parties all add up to a roller coaster of human emotions served up with delicious wit and painfully hilarious situations. The perfect tonic for the mid- winter blues!